Like many fans, I entered into The Scarlet Gospels with significant expectations. 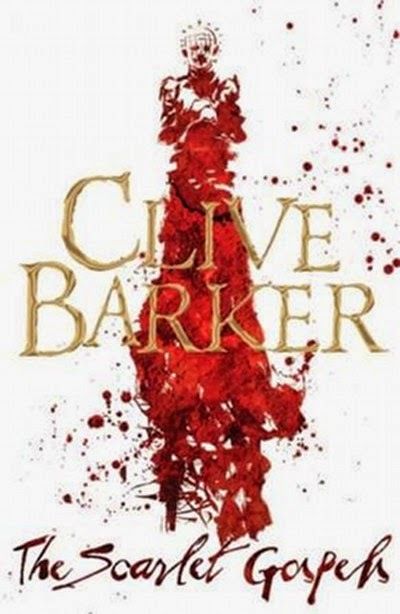 Not only is it Clive Barker's first novel for adults since 2007, it's one he's been teasing since 1993. Over the course of those 20+ years it's grown from just another short story destined for a new Books of Blood collection to a massive 232,000 word epic, before being edited back down to the 100,000 word final book. That means, of course, that more than half the story has been edited out of the final text, including many of the scenes Barker himself has teased. There's no Joseph and the Holy Grail to be found in its pages; no first encounter between Pinhead and a 12 year old Harry D'Amour; and no conversation between Harry and Jesus, discussing the subject of suffering, and remarking on how Pinhead's nails are akin to his crown of thorns. I was a bit worried, given how long I've been anticipating the read, but I was entirely satisfied. Overthrowing Lucifer is no easy task. I'm glad some of those scenes were left out. Story sounds stronger for it. Agreed. The conversation with Jesus sounded interesting, the way Barker has described it in the past, but it all would have been filler . . . and would have distracted from the focus. He's really more a creature of the screen than the page - his role in The Hellbound Heart was actually rather minor, and it was Hellraiser that really pushed him to the forefront and established him as a character.